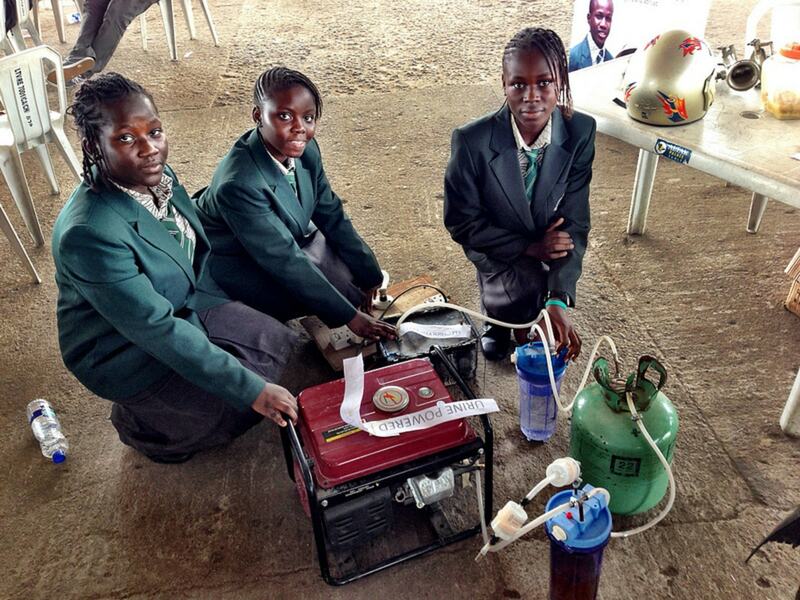 A group of 14-year-old school girls show off a urine-powered generator at an innovation fair in Lagos, Nigeria. 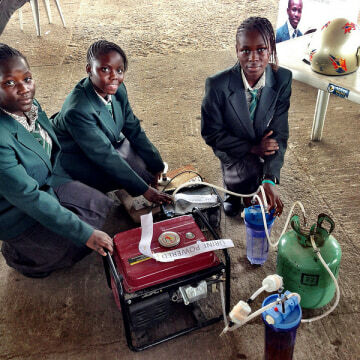 A urine-powered generator presented by a group of school-age girls at an innovation fair in Africa is generating buzz as a world-changing breakthrough, but a reality-check with the expert who invented the contraption at the heart of the technology might flush those expectations down the drain. The contraption in question is an electrolytic cell that converts urea — the main compound in urine besides water — into nitrogen, water and hydrogen. “What these kids are doing is taking urea electrolysis and making hydrogen and then using that hydrogen to make electricity,” Gerardine Botte, a chemical engineer at Ohio University who invented the urea electrolysis process, told NBC News when asked to comment on the generator. 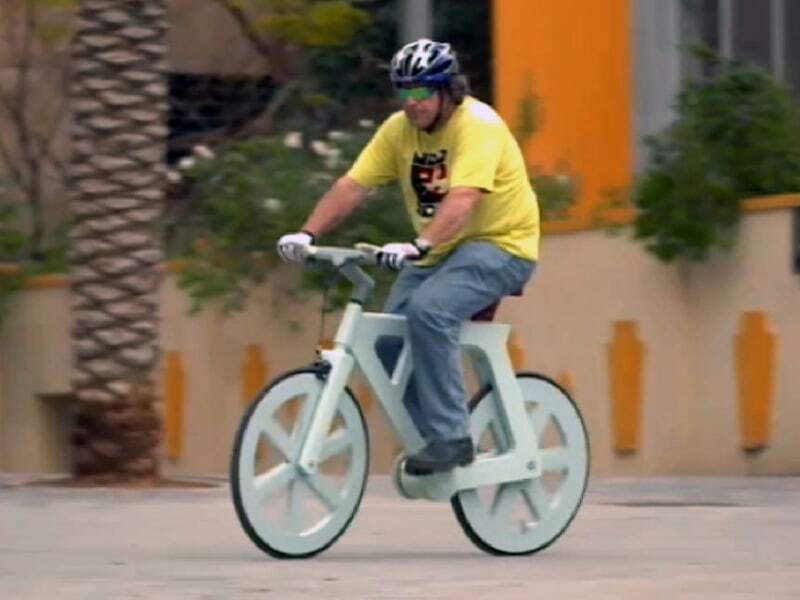 According to information provided on the Maker Faire Africa website about the pee-powered system, one liter of urine provides six hours of electricity, though the site lacks details on how many watts are generated or what that electricity could power for six hours: an iPod or a neighborhood? Another concern is the implication that the students get more energy out of the urine than they use to prepare it in the first place. That isn't true, according to Botte. “It is a high school project, so don’t take it [so seriously],” Botte said, adding that the student's work is "empowering" and suggested they work with an engineer to understand the technology and its appropriate applications. For Botte, the technology is most practical as a way to make the wastewater treatment process more energy efficient. All wastewater treatment plants consume energy, she explained. Since urea is already being collected by such facilities, Botte says it makes sense to extract hydrogen from it. This in turn can be used to generate electricity, thus reducing the amount of outside energy required to run the wastewater treatment process. “You will never get more energy out than you put in because you are treating urea … but it is a unique and elegant way to treat urine waste, which will allow you to co-generate electricity,” she said.